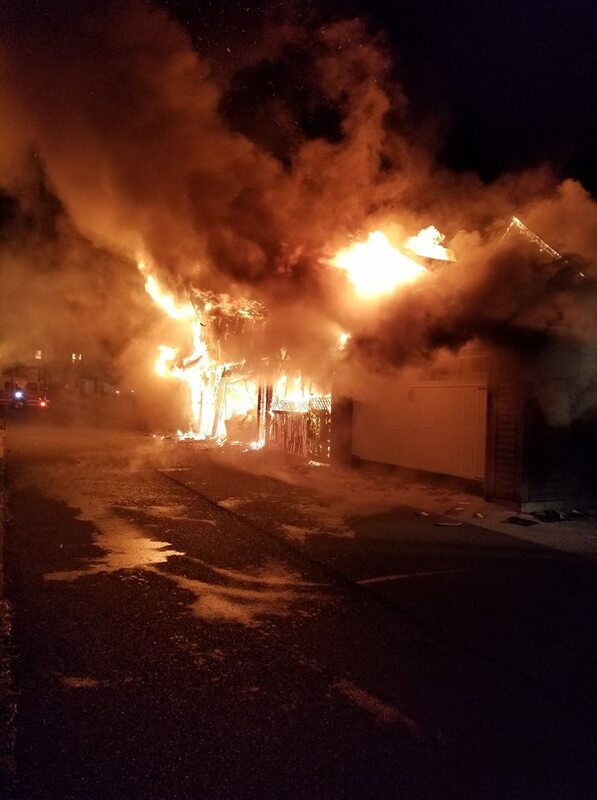 Chilliwack – Chilliwack Fire are investigating a major house fire on the 45000 block of Safflower Crescent. Flames had burst into the sky around 3PM (July 11). In all, five structures had major damage (two of them appear to be completely destroyed) and another 11 had minor heat damage. So far 5 people are homeless for the time being. Fortunately no one was hurt although reports on social media say a resident in a basement apartment got out safely and was able to move his vehicle out of harms way. 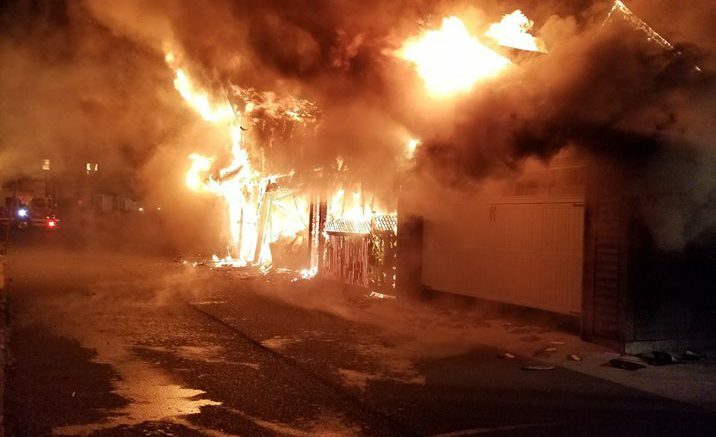 If you have any information on this fire, call RCMP at 604 792 4611 or email Crimestoppers at crimestoppers.ca or call 1 800 222 TIPS (8477). Facebook Video and Pictures from John Lippold. Be the first to comment on "Possible Arson In Sardis Fire On Safflower Crescent (Video)"